Bad cover alert! 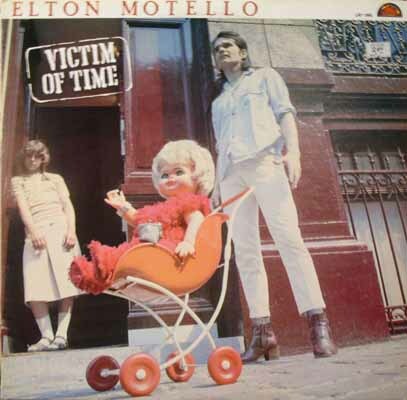 The doll in the baby carriage wheels ahead of the stick-thin Motello as a young lady looks on from the doorstep. Features Elton's cover of Plastique Betrands' - Jet Boy Jet Girl. This would never be played on the radio now. I remember a pub night in college where the football team sang along to this song, never realizing the lyrics are by a guy singing about another guy... Heh. I have another copy of this - when it surfaces I'll put it up on the for sale page.